Hoping to hear a full-scale rendition of In The Cage when Genesis is inducted into the Rock And Roll Hall Of Fame in March? 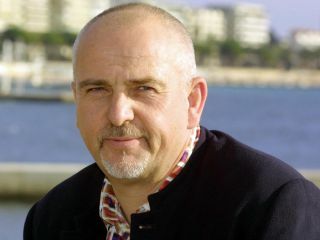 Sorry to dash your hopes, but Peter Gabriel says it isn't going to happen. Not only that, but he's pretty darn sure he isn't going to perform any songs with the band. "As far as I know, I'm definitely not going to sing," Gabriel told Rolling Stone. "I learned at our last reunion [in 1982] that you can't just get up there. You have to rehearse." Beyond performing, Gabriel isn't even certain he'll be able to attend the induction ceremony, which takes place 15 March in New York City, as he'll be rehearsing for a European solo tour. "I'm trying to find a way to do it," he said. "It's not easy. If I can work it out, I'll go." The idea of a classic Genesis reunion - Phil Collins, Tony Banks, Mike Rutherford, Steve Hackett and Gabriel - almost became a reality five years ago when the group got together to discuss the possibility of staging their much-adored 1974 prog-rock opus The Lamb Lies Down On Broadway. "Initially I was open to it," Gabriel said. "But then it seemed to be growing. I know what it's like once you're in it - these things tend to expand. I always describe it as going back to school, since this was a school group for me. It's a fun place to visit and see your old friends, but its not a place you want to live." Oh, well. At least you still have video.